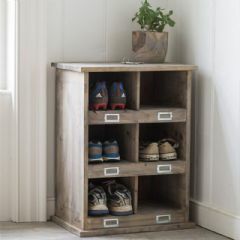 Perfect for keeping stray shoes, boots and sneakers out of the way in your entrance hall or bedroom, the Garden Trading Chedworth Shoe Locker transforms a clump of shoes into beautiful household feature. With its charming rustic features and traditional locker room inspired design combined with its functionality and versatility, this shoe locker is just what you are looking for. 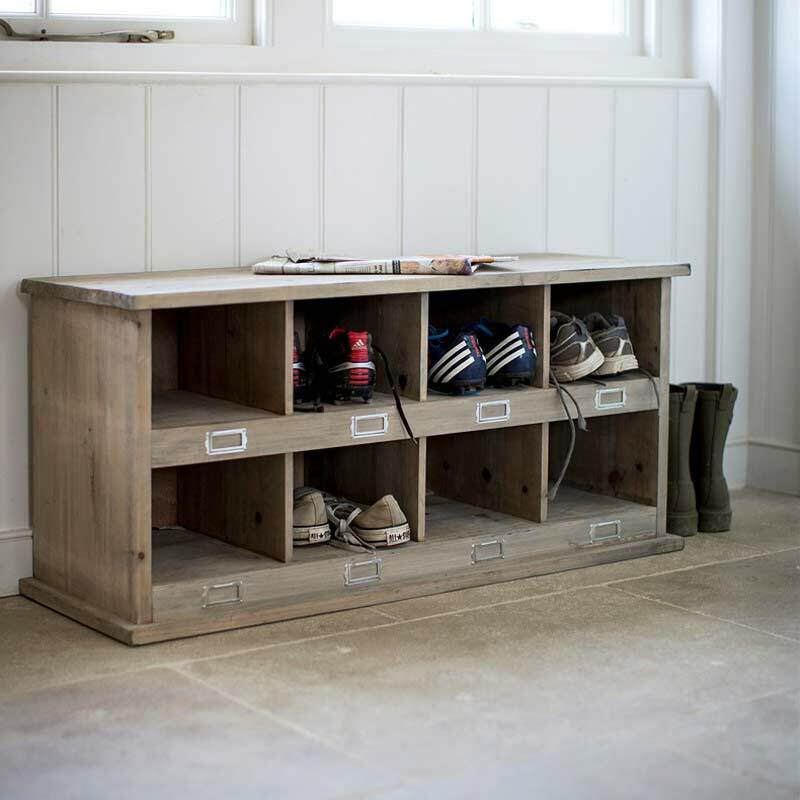 Tired of errant piles of shoes making a nuisance of themselves in the entrance hall? This Chedworth Shoe Locker will transform your shoe pile into a beautiful and rustic feature. Inspired by the traditional look and feel of old school shoe lockers, this unit is an essential feature for your hallway, boot or utility room. 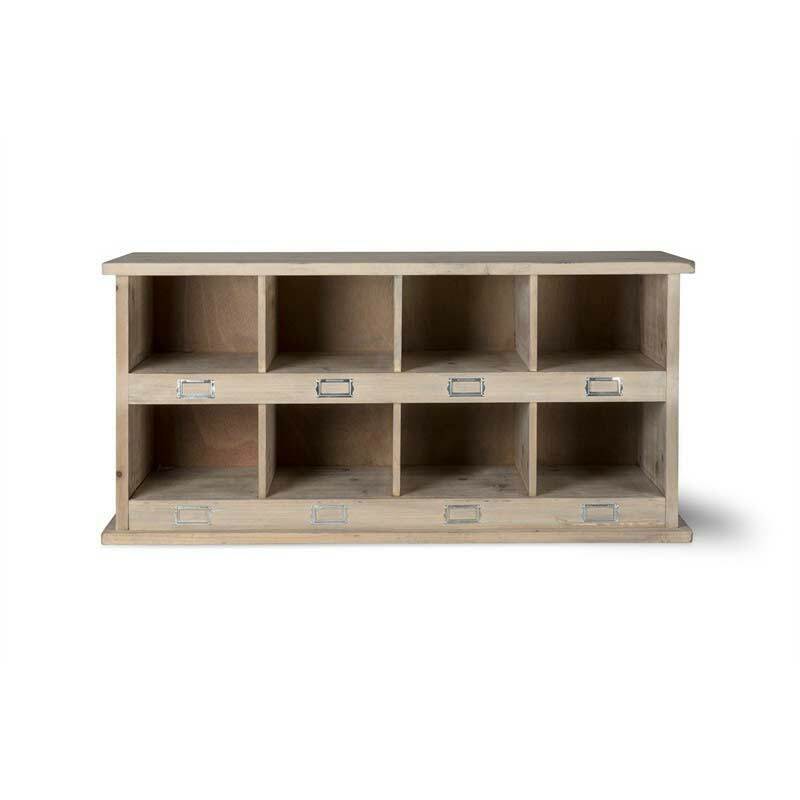 This unit features eight shoe holes and is ideal for a home filled with budding sports stars with messy boots and shoes! If you would like even more organization in your home, each of the slots comes with a metal-framed label slot so you can assign holes to each of the kids. Crafted from wood that has been hand selected from responsible and sustainably sourced spruce from EU forests, this unit’s design takes into account the natural characteristics of the wood and turns them into truly unique and eye-catching features. This unit is sturdy enough to sit on. Please note: This unit is best suited for indoors or covered areas, and is not suitable for leaving exposed to the elements. Great little cupboard. Half the price of other companies on the web. Delivered quickly. Excellent! Arrived via DPD do I was able to arrange delivery to suit my schedule which is always a plus. Item was packaged really well and arrived in good time. Looks lovely with all shoes and trainers stored neatly but easy to access. Lovely piece.. Ideal for kids shoes a bit snug for adult shoes. Arrived quickly. great value, looks really nice in the utility room. Would happily recommend, I found this company sold it cheaper than other outlets, really pleased with it. The product itself is great. I was just disappointed that there were 3 dents in the front which may have been due to delivery. However, they did give me some money back and I will sand the dents out.